In this guide, we will show you how to get Django up and running on an Ubuntu 16.04 server. After installation, we'll show you how to start a new project to use as the basis for your site. Global Install through pip: The pip tool is a package manager for Python packages. If you install pip, you can easily install Django on the system level for use by any user. This should always contain the latest stable release. Even so, global installations are inherently less flexible. Before you begin, you should have a non-root user with sudo privileges available on your Ubuntu 16.04 server. To set this up, follow our Ubuntu 16.04 initial server setup guide. When you are ready to continue, follow the steps below. 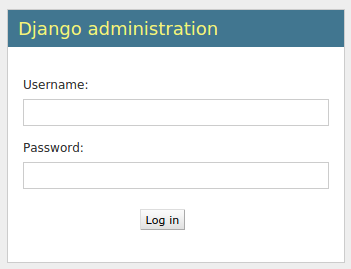 Perhaps the most flexible way to install Django on your system is with the virtualenv tool. This tool allows you to create virtual Python environments where you can install any Python packages you want without affecting the rest of the system. This allows you to select Python packages on a per-project basis regardless of conflicts with other project's requirements. If you need a development version of Django, you will have to download and install Django from its git repository. Follow the steps below that match the Python version you are using. Skip ahead to the section on testing with your development version. Before you can test your application, you need to modify one of the directives in the Django settings. Inside, locate the ALLOWED_HOSTS directive. This defines a whitelist of addresses or domain names may be used to connect to the Django instance. Any incoming requests with a Host header that is not in this list will raise an exception. Django requires that you set this to prevent a certain class of security vulnerability. Once you have a user, you can start up the Django development server to see what a fresh Django project looks like. You should only use this for development purposes. Now, start up the development server. When you are finished looking through the default site, you can stop the development server by typing CTRL-C in your terminal. The Django project you've created provides the structural basis for designing a more complete site. Check out the Django documentation for more information about how to build your applications and customize your site. You should now have Django installed on your Ubuntu 16.04 server, providing the main tools you need to create powerful web applications. You should also know how to start a new project and launch the developer server. Leveraging a complete web framework like Django can help make development faster, allowing you to concentrate only on the unique aspects of your applications.